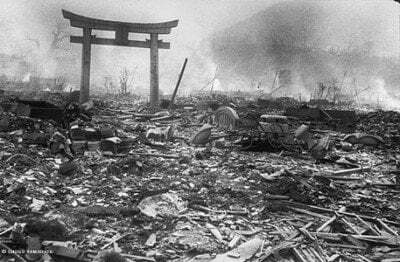 More than 2000 nuclear explosions have occurred since 1945 as part of nuclear weapons’ testing. Officially only two nuclear bombs (Hiroshima and Nagasaki, 6 and 9, August 1945) have been used in an act of war. The media consensus is that a nuclear holocaust is an impossibility. Publicly available military documents confirm that nuclear war is still on the drawing board of the Pentagon. It is also part of the US presidential election campaign. Compared to the 1950s, however, today’s nuclear weapons are far more advanced. The delivery system is more precise. In addition to China and Russia, Iran, Syria and North Korea are targets for a first strike pre-emptive nuclear attack. War is Good for Business: Spearheaded by the “defense contractors” (Lockheed Martin, Northrop Grumman, Boeing, British Aerospace et al), the Obama administration has proposed a one trillion dollar plan over a 30 year period to develop a new generation of nuclear weapons, bombers, submarines, and intercontinental ballistic missiles (ICBM) largely directed at Russia and China. A new arms race is unfolding. Russia has in turn responded to US threats through a major modernization of its strategic nuclear weapons arsenal. The use of nuclear weapons is casually endorsed by presidential candidate Hillary Clinton, who believes that nuclear weapons are instruments of peace-making. Her election campaign is financed by the US military industrial complex which produces the WMDs. Meanwhile, scientists on contract to the Pentagon have endorsed the use of tactical nuclear weapons, which are said to be “harmless to the surrounding civilian population because the explosion is underground.” The tactical nukes are bona fide thermonuclear weapons, with an explosive capacity between one third and six times a Hiroshima bomb. They have been cleared for battlefield use (in the conventional war theater) by the US Senate and their use does not require the approval by the Commander in Chief. The people at the highest levels of government who make decisions regarding the use of nuclear weapons haven’t the foggiest idea as to the implications of their actions. A recently released classified Pentagon document (1959) confirms that during the Cold War, 1200 cities extending from Eastern Europe to the Far East were targeted for systemic destruction. According to 1956 Plan, H-Bombs were to be Used Against Priority “Air Power” Targets in the Soviet Union, China, and Eastern Europe. The Pentagon has been actively considering the use of nuclear missiles against military targets inside Russia, … Three options being considered by the Pentagon are the placement of anti-missile defenses in Europe aimed at shooting Russian missiles out of the sky; a “counterforce” option that would involve pre-emptive non-nuclear strikes on Russia military sites; and finally, “countervailing strike capabilities,” involving the pre-emptive deployment of nuclear missiles against targets inside Russia. Robert Scher, one of Carter’s nuclear policy aides, told Congress in April that the deployment of “counterforce” measures would mean “we could go about and actually attack that missile where it is in Russia.” According to other Pentagon officials, this option would entail the deployment of ground-launched cruise missiles throughout Europe. The criminality and recklessness of the foreign policy of Washington and its NATO allies is staggering. A pre-emptive nuclear strike against Russian forces, many of them near populated areas, could claim millions of lives in seconds and lead to a nuclear war that would obliterate humanity. 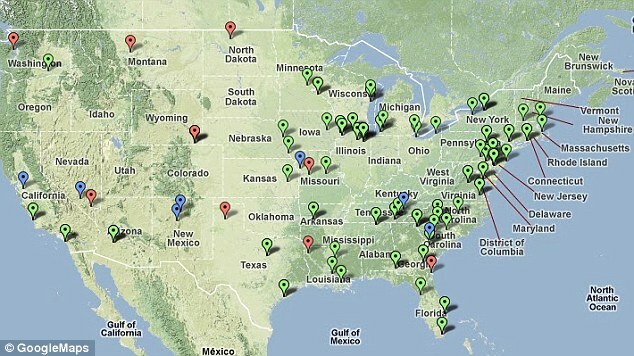 “Map of major U.S. nuclear weapons infrastructure sites during the Cold War and into the present. 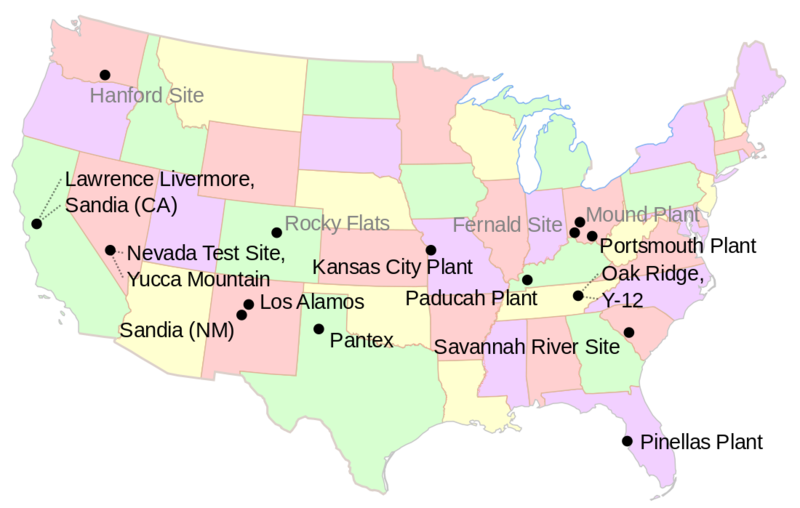 Places with grayed-out names are no longer functioning and are in various stages of environmental remediation.” (Wikipedia). Scroll down for Google Map. 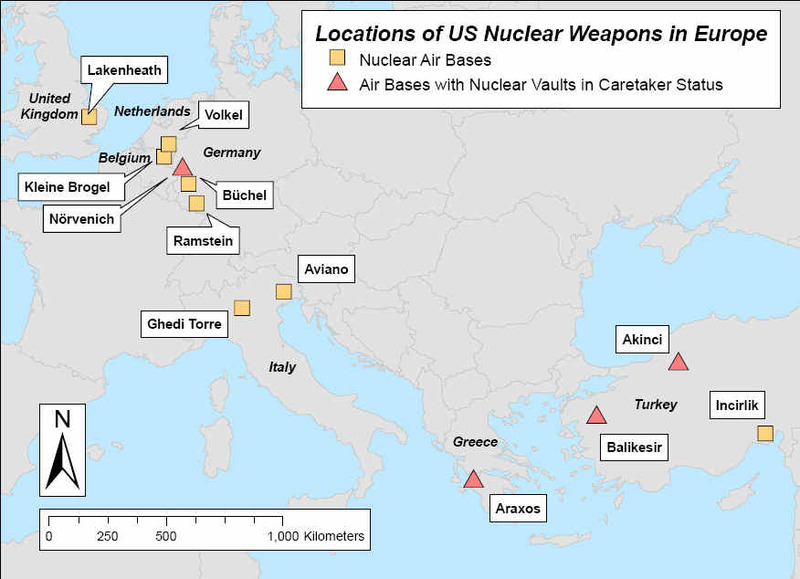 ‘The map was produced from data suppled by the Defense Department and nuclear watchdog groups. Five non-nuclear states (Belgium, Netherlands, Germany, Italy, Turkey) have deployed the B61 tactical (thermonuclear) against targets in the Middle East and the Russian Federation.. The latest and more advanced version is the B61-12, which is contemplated to replace the older B61 version. 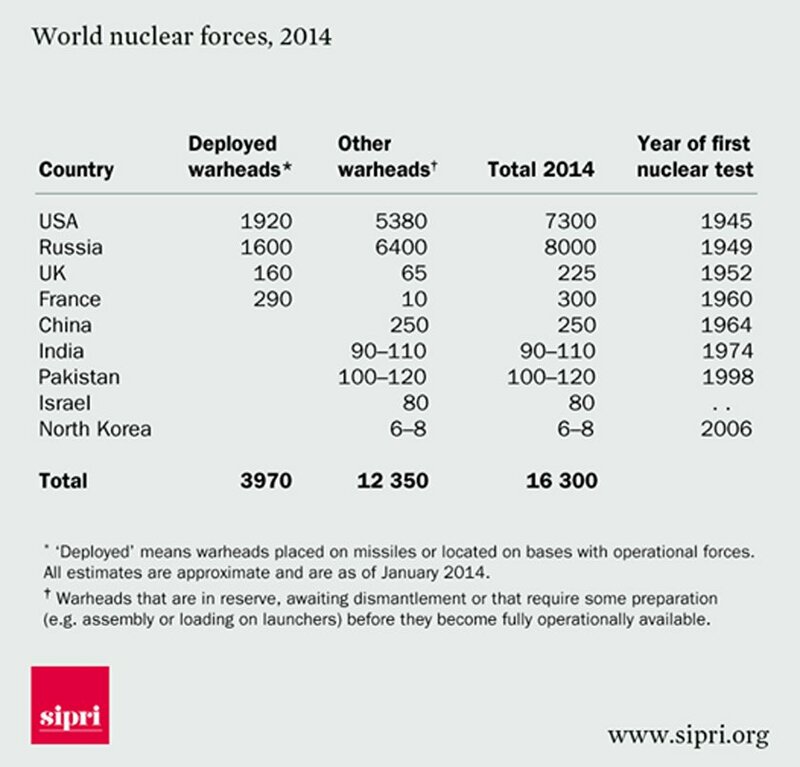 Are countries in the Middle East potential targets for a nuclear attack? (For further details, see Michel Chossudovsky, Dangerous Crossroads: Is America Considering the Use of Nuclear Weapons against Libya? Global Research, April 2011). 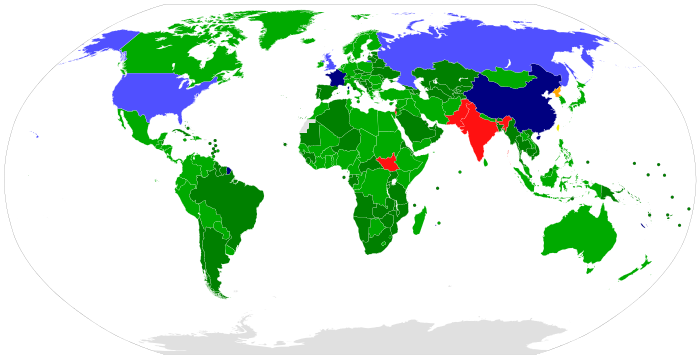 The tactical nuclear weapons were specifically developed for use in post Cold War “conventional conflicts with third world nations”. In October 2001, in the immediate wake of 9/11, Defense Secretary Donald Rumsfeld envisaged the use of the B61-11 tactical nuclear bomb in Afghanistan. The targets were Al Qaeda cave bunkers in the Tora Bora mountains. The use of the B61-11 was also contemplated during the 2003 bombing and invasion of Iraq as well as in the 2011 NATO bombings of Libya. ”If Saddam was arguably the highest value target in Iraq, then a good case could be made for using a nuclear weapon like the B61-11 to assure killing him and decapitating the regime” (Defense News, December 8, 2003). Nuclear war –which threatens life on planet earth– is not front page news in comparison to the most insignificant issues of public concern, including the local level crime scene or the tabloid gossip reports on Hollywood celebrities. What we are dealing with is the criminalization of the State, whereby officials in high office are complicit in fostering the pre-emptive use of nuclear weapons. The media has camouflaged the implications of America’s post Cold war nuclear doctrine, which was formulated in a secret meeting at US Strategic Command Headquarters on Hiroshima Day, August 6, 2003. On August 6, 2003, on Hiroshima Day, commemorating when the first atomic bomb was dropped on Hiroshima (August 6 1945), a secret meeting was held behind closed doors at Strategic Command Headquarters at the Offutt Air Force Base in Nebraska. Senior executives from the nuclear industry and the military industrial complex were in attendance. This mingling of defense contractors, scientists and policy-makers was not intended to commemorate Hiroshima. The meeting was intended to set the stage for the development of a new generation of “smaller”, “safer” and “more usable” nuclear weapons, to be used in the “in-theater nuclear wars” of the 21st Century. 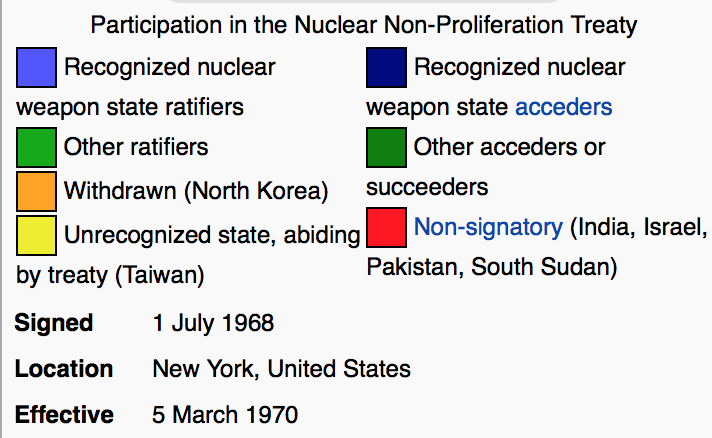 The Hiroshima Day 2003 meetings had set the stage for the “privatization of nuclear war”. Corporations not only reap multibillion-dollar profits from the production of nuclear bombs, they also have a direct voice in setting the agenda regarding the use and deployment of nuclear weapons. 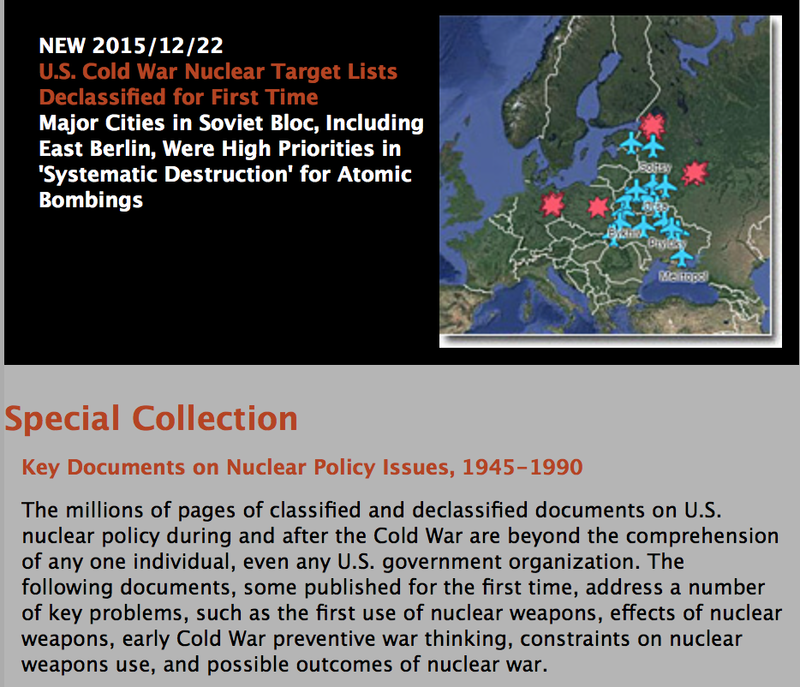 All the safeguards of the Cold War era, which categorized the nuclear bomb as “a weapon of last resort”, have been scrapped. “Offensive” military actions using nuclear warheads are now described as acts of “self-defense”. During the Cold War, the doctrine of Mutually Assured Destruction (MAD) prevailed, namely that the use of nuclear weapons against the Soviet Union would result in “the destruction of both the attacker and the defender”. Stay informed, spread the word far and wide. To reverse the tide of war, the broader public must be informed. Post on Facebook/Twitter. Confront the war criminals in high office. What we really need is real “Regime Change in America”. This entry was posted on January 14, 2016 by conspiracyanalyst in International News, Nuclear War, War & Peace and tagged nuclear war, nuclear weapons.